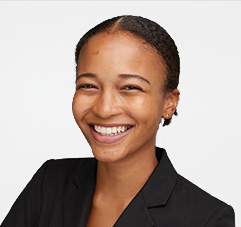 Tené is a Hamilton Fellow in Columbia Law School’s class of 2021. She graduated from Brown University in 2014 with a degree in biology and scored a 174 on the LSAT. Tené was raised in the Middle East (in Muscat, Oman and Dubai, U.A.E.) and is on a mission to visit every country in the world! When she’s not teaching, traveling, or at law school, she loves roaming Central Park with her dog, Ellis, going out with her friends, shopping at thrift stores, trolling Pinterest, and exploring as many of New York City’s restaurants as she can. She is interested in labor law and animal law (especially factory farm reform). She first got involved with teaching through tutoring elementary school children, but when the time came to take the LSAT, she quickly realized how much she enjoyed the material. She is passionate about helping students reach their full potential and achieve their law school admissions goals.